Rajya Sabha MP Naresh Agarwal who created quite the flutter in the political circles with his controversial remarks on Jaya Bachchan has apologised for his derogatory comments. Naresh Agarwal said that he didn't mean to hurt anyone's sentiments and if he had done so, he is apologetic. 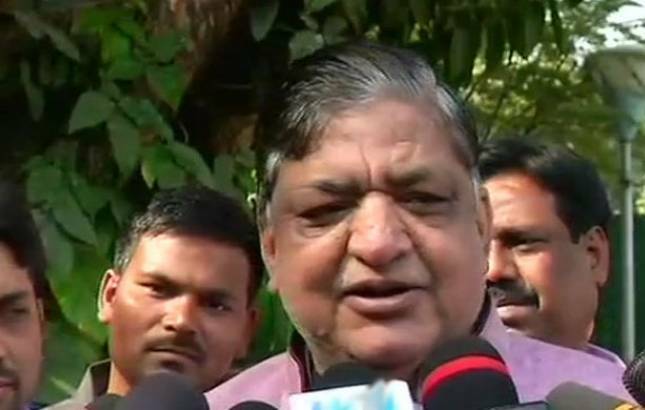 Rajya Sabha MP Naresh Agarwal on Monday had joined the Bharatiya Janata Party (BJP) after he was ignored a ticket to the upper-house of the parliament by Samajwadi Party. Hours after Rajya Sabha MP Naresh Agarwal joined BJP, Minister of External Affair (MEA) Sushma Swaraj on Monday welcomed the former Samajwadi Party general secretary for joining the saffron party but criticised him for his comments on Jaya Bachchan.